For a country currently grappling with its economy, a rejuvenating new multi-billion dollar plan was recently announced by Prime Minister, Najib Razak. Since the dawn of 2015, the prime minister has been constantly facing a slower pace of economic growth and a currency losing nearly a fifth of its value versus the US Dollar. The government is apparently ready to throw in billions of dollars into financial markets while investigators continue to probe a troubled state investment fund 1Malaysia Development Berhad (1MDB) which was formed by Mr Najib himself in 2008, and who also sits as chairman on its advisory board. In a speech on Monday, Mr. Najib assured that his government “remains committed to helping solve investigations in relation to the investments of 1MDB transparently.” He added that all 1MDB’s dealings will be “transparent and market-friendly.” As the Prime Minister deals with accusations of corruption, he is definitely keen on concentrating on the economy instead. External shocks aren’t the only reasons for the recent worries over Malaysia’s economy – as repeatedly outlined by the Najib administration – citing the skyrocketing US dollar and slowdown in China, a major trading partner. 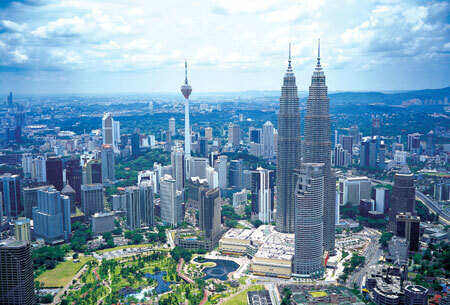 Weak commodity prices and a slowing Chinese economy have hit Malaysian markets hard and added pressure on the Prime Minister, as evidenced by recent street demonstrations challenging his rule. Amidst these worrying developments, the much-talked about Malaysian leader introduced the “Special Economic Committee”(JKE) last month, whose members include his brother, CIMB Bank chief, Nazir Razak, who coincidentally, has been a huge critic of 1MDB – as well as Tan Sri Nor Mohamed Yakcop, the man famed for implementing a currency peg and capital controls that the country put in place following the 1997 Asian financial crisis. But the Najib administration has vowed not to repeat those measures, insisting that economic fundamentals are resilient and will remain unaffected by current pressures. Also on Monday, Mr Najib added that a state firm called ValueCap would be investing 20 billion Ringgit ($4.6 billion) in a few of the country’s worst-hit stocks and advised other quasi-independent state firms with operations overseas to cash in those investments and return to reinvesting in Malaysia. Arguably, this hasn’t been the first time Mr. Najib has managed to leverage state muscle to boost the economy and markets. It is vital to note that the Ringgit is currently Asia’s worst performing currency this year trading at over 4.3 to the US Dollar all of last week and ending Friday at 3.05 to the Sing dollar. But analysts believe the measures announced on Monday may cushion the slide for the short term.